Kids these days with their fancy smart homes, their smartphone-controlled lights, Bluetooth-connected door locks, and their mind-reading kettles. Back in the day, people manually flipped switches, turned keys, and pressed buttons. Appliances didn't control themselves, and that was a-okay. But sprinklers, yes, those should be automated, and using your smartphone to monitor them just makes plain sense! Tell me more about Rachio's newfangled Iro smart sprinkler controller. 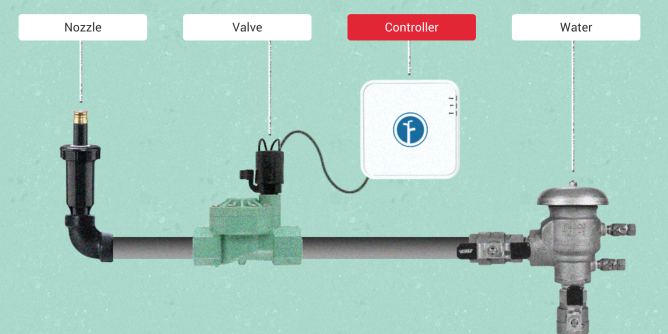 After Iro's installed, you can connect it to your Android device in order to monitor your home sprinkler system's behavior and issue commands. The latter should become less necessary as the device learns more about you and your lawn. The app's already up in the Play Store, and screenshots reveal the ability to monitor multiple zones of your landscape, see how much time is remaining on each cycle, and stop everything on command. It offers a flat, clean UI that doesn't appear to offer much in the way of distractions. If it isn't obvious, Iro isn't for everyone. 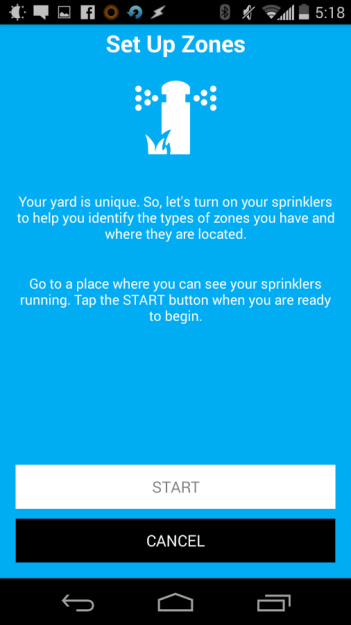 First you need to own a home, and then you need to have a sprinkler system already in place. After that, you're looking at dropping $249.99 for the unit. If you're interested in picking one up, Rachio's willing to sell you one from their site, but they're also offering them at Home Depot for the same price. 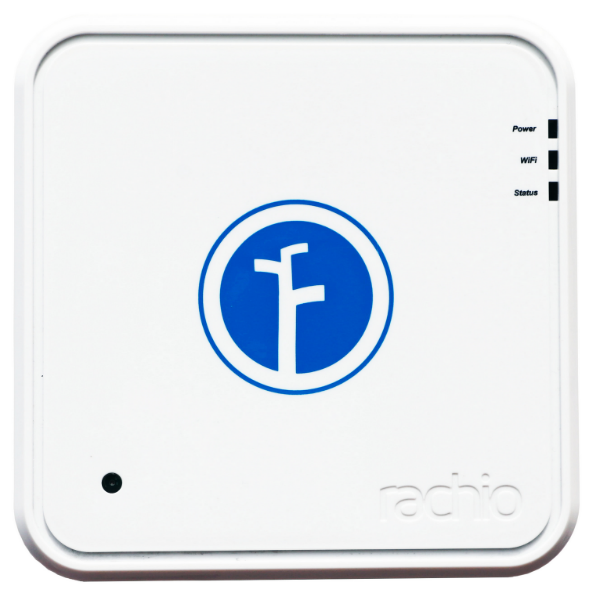 DENVER – June 04, 2014 – Rachio is excited to announce the launch of Iro Smart Sprinkler Controller at 990 Home Depot locations across the country. The Wi-Fi connected Iro acts as the brain of a landscape irrigation system, automatically adjusting to weather conditions and seasonality to use as little water as possible, while maintaining beautiful lawn. 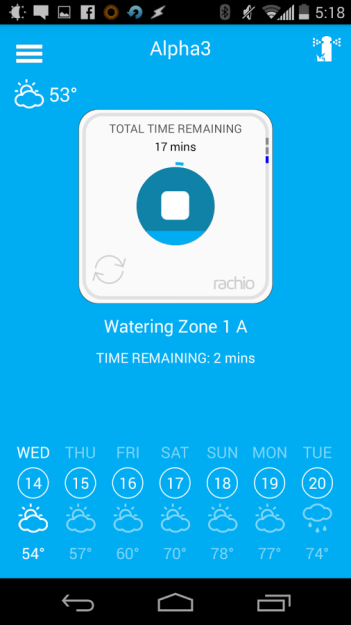 The iOS and Android app powered Iro creates a watering schedule based on location, taking into account regional characteristics and restrictions. This includes adjusting watering patterns to best meet the needs of various soil types and adapting to unpredictable weather. Iro’s ability to learn and automatically adjust to its environment helps address the country’s growing outdoor water waste issue. The Environmental Protection Agency (EPA) estimates 50% of the 7.8 billion gallons of water used daily for landscape irrigation is wasted. With Iro users can reduce their impact and track usage over time. Iro installs quickly and easily. Users begin by unplugging their old controller, detaching the low voltage zone wires and removing it from the wall. They then mount the smart controller to the wall and reconnect the low voltage zone wires and plug it in. Finally users are prompted to sync Iro through the Rachio smartphone app. Once attached users can hold their Smartphone up to a sensor on the Iro and it will connect to their home wireless network. 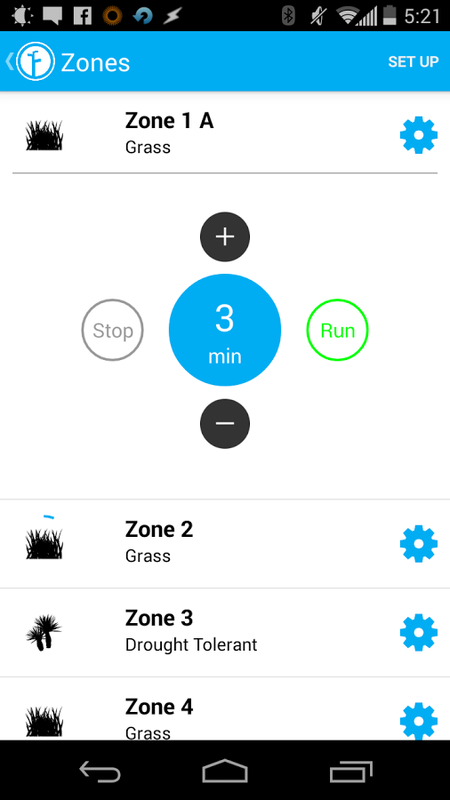 The app will then lead the user through a simple zone setup process that will create a localized watering schedule. The free Rachio app is available for download at Apple’s App Store and from Google Play. The Iro Smart Sprinkler Controller is available immediately at www.rach.io and Home Depot stores for $249. For more information on about Rachio please follow the company on Facebook and @_rachio.